More sketches from The 100 Days Project. 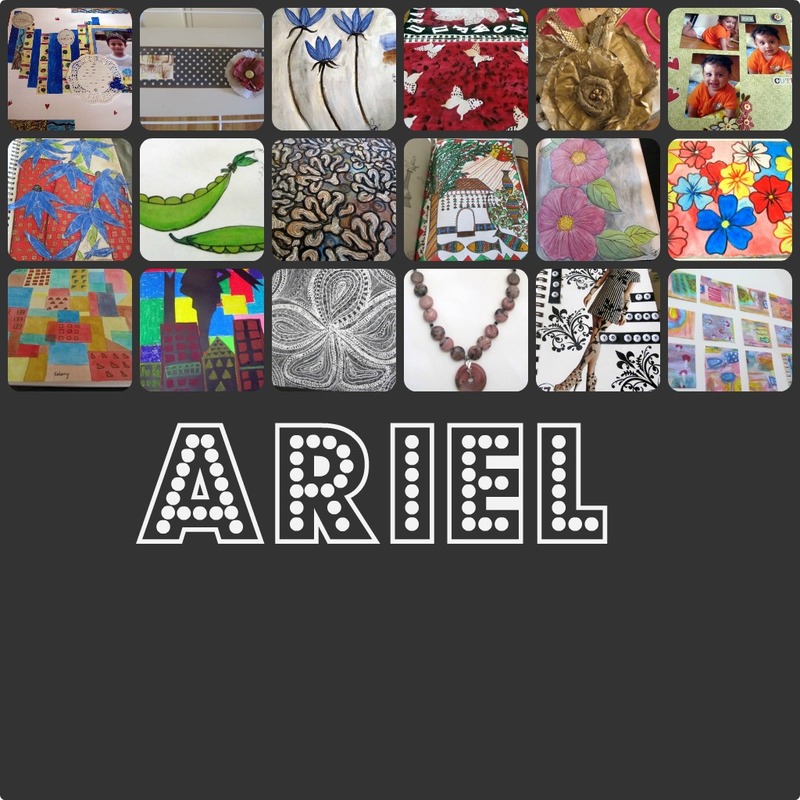 I'm taking part in this event for the first time and my theme is 100 Days of watercolor and mixed media. Both the above sketches have been done using my current favorite watercolor set the Ganzai Tambi set. 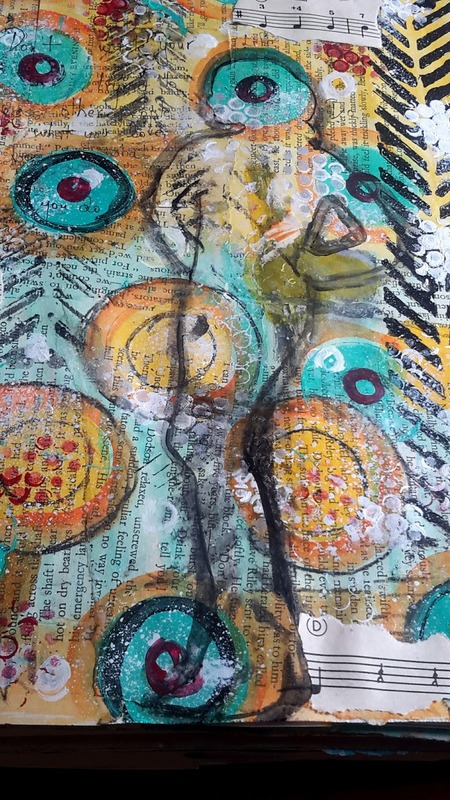 This mixed media page is my take for Day-4. 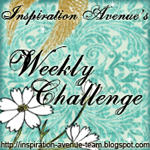 This is also a page that I created for the DLP Unplanner challenge of the 3rd week of April. "Don't waste your Life trying to impress other people, Do what you love, Love what you do." 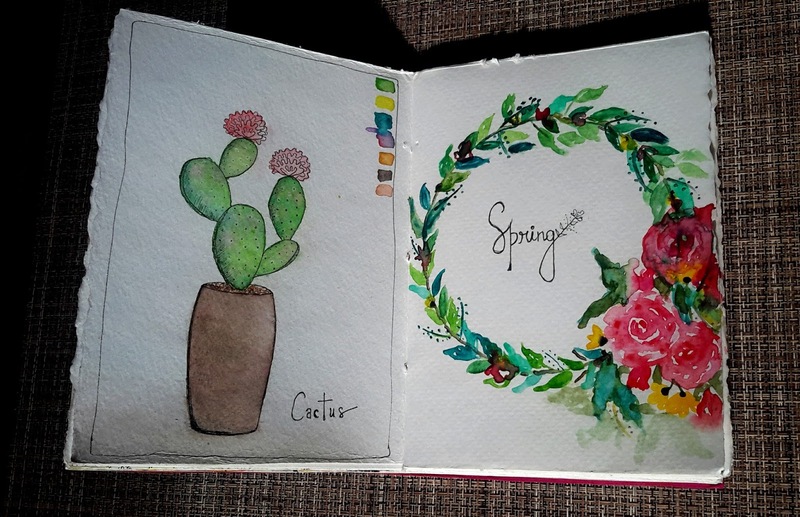 Susan, your watercolors in your handmade journal are simply gorgeous! 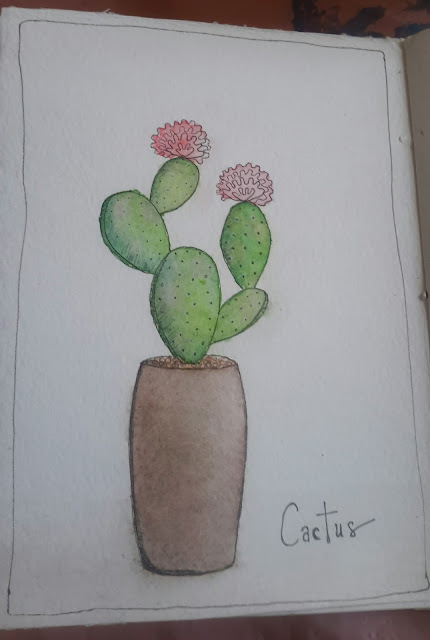 I love the beautiful flowers and the prickly cactus. Great job! Your mixed media piece has some of my favorite color combinations. Love the quote. absolutely gorgeous watercolor art Susan!!! 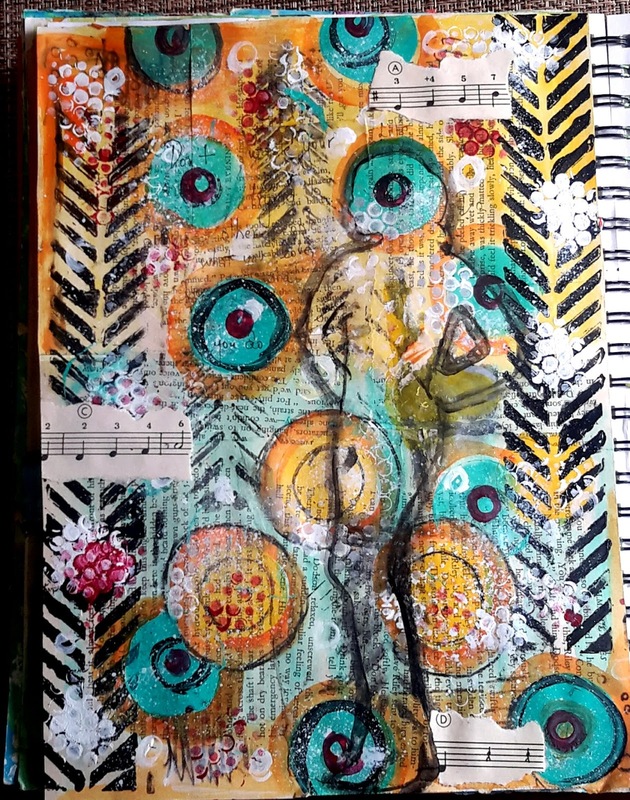 Your mixed media page is super too and that is a great quote. Have a beautiful weekend! Beautiful spread and gorgeous mixed media piece. 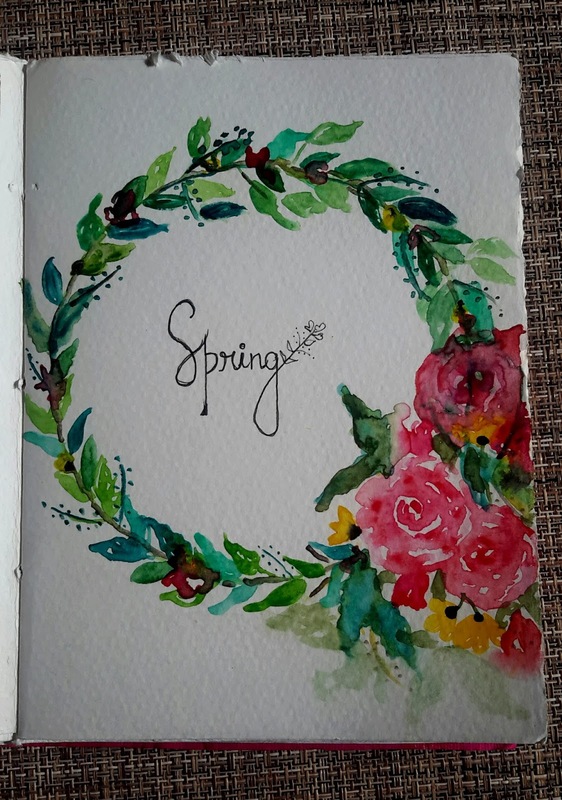 I especially like your Spring wreath. These are beautiful Susan! !Doing watercolour leaves the theme wide open too...good job!